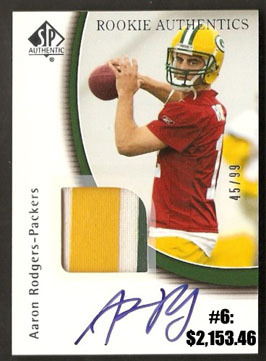 2005 SP Authentic, 2005 Bowman Chrome, 2005 Exquisite Collection and a rare 2005 Playoff Contenders Preview Ticket Auto highlight the top 10 recent Aaron Rodgers card sales from eBay. 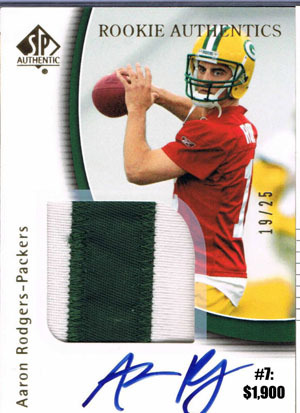 In the ultimate conflict of interests, the #1 card on the list was sold by none other than Beckett Media, who does indeed sell cards on eBay despite the fact they determine the value of cards, grade cards and run their own secondary market on their own website. 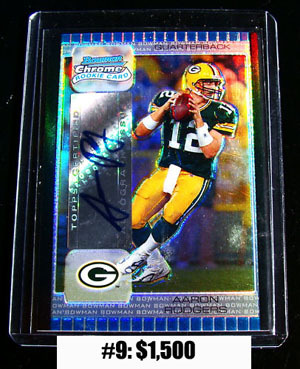 *The purpose of articles like this is to give collectors a "real time" look at what people are actually paying for a card versus the outdated method of "book value". 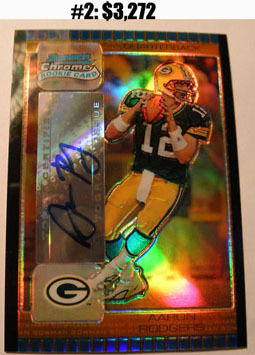 It also gives collectors the chance to see some pretty cool cards in the process. 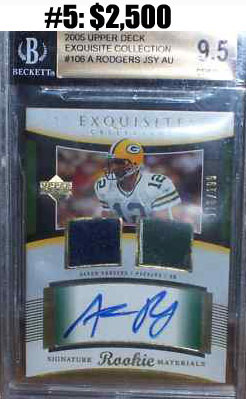 Aaron Rodgers Rookie Topps XXL JUMBO BGS 9.5 VERY RARE RODGERS ROOKIE!!! Evenin! Here I am again, another night of great readings! 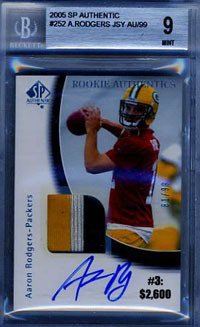 Those are some nice Rodgers Rookie Auto’s and I wish I had one! 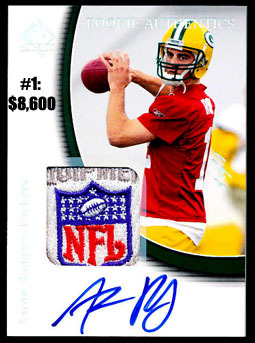 But at those prices like 4 grand! Yeah, I don’t know about THAT! 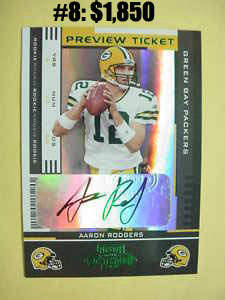 Even if I HAD that kind of money, I don’t think it’s wise to drop 4 grand on an Aaron Rodgers card right now! 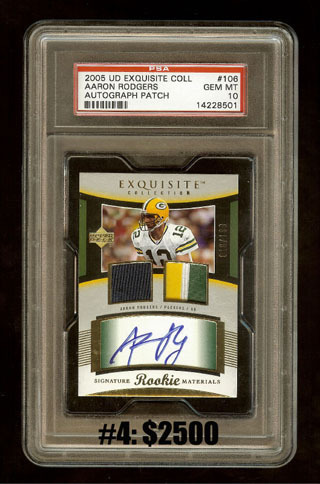 But hey, GOOD LUCK to the one who dose and buys one at that price!